The Studio was established in 1996 and has grown in reputation from year to year since. Sharon is a qualified Fashion Designer, whom in her college years, was a Finalist in the "Satzenbrau Partywear Awards" and a Finalist in the "Smirnoff Awards". She was "Student of the Year" in her first year of college and "Designer of the Year" in her second year. In 2012, Sharon was awarded "Cork Designer of the Year" in Kinsale, Co. Cork. So no aspect of your total look will be forgotten on your trip to the Design Studio. 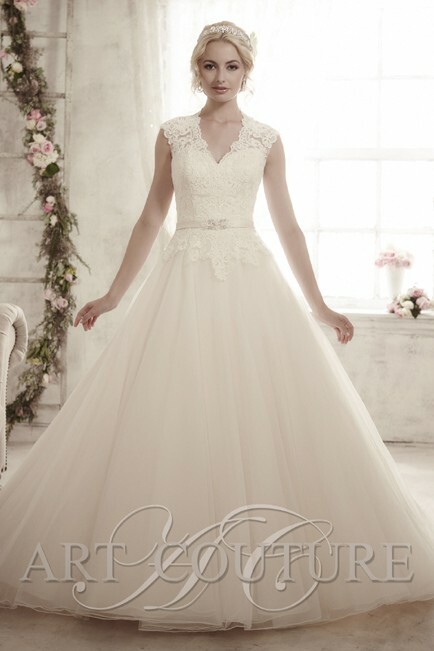 Having an eye for fashion has helped to choose a varied look for the gowns we stock. 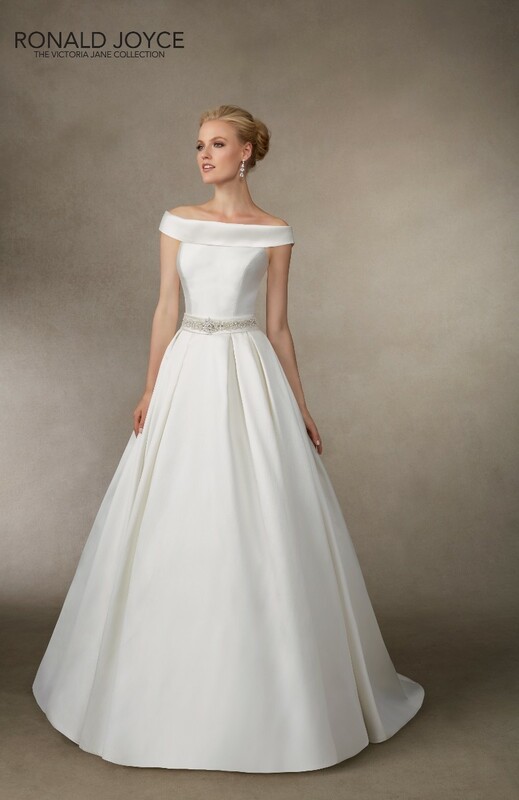 We have an extensive range of Bridal Gowns, ranging from the simple to the elaborate and everything in between. Headpieces, Veils and Jewellery, are also stocked to complete the look. The Studio stocks a superb range of Bridesmaid Dresses available in a choice of colours. Sizes available in 2 – 32 , Fabrics available are Satin, Taffeta, Chiffon. Over 50 styles in stock new styles arriving daily. If you cannot find your wedding dress from the collections in store, Sharon can design and make your dress to your needs. Next door, We have a Sale Shop, where we have dresses available to buy from the rail. Beautiful dresses in all styles,sizes and colours, prices from €100 upwards. An appointment is necessary and we will be delighted to look after you. Sharon Gregory Design Studio is a qualified fashion designer from mallow Cork servicing weddings throughout the local area including cork , kerry, limerick, tipperary. Sharon Gregory Design Studio is a professional ,giving a top class personal friendly service helping you choose your dream gown Sharon has been part of the bridal industry since 1996 specialising in bridal gowns, bridesmaids and all accessories. If you are looking for wedding dress or bridesmaid dresses, you won't be able to do better than Sharon. Great service, feel like you are the only bride in the world when you walk into her shop! Sharon was absolutely amazing! I went straight passed my wedding dress. Didn't like it on the hanger. She asked me to try it on and it was the one. Absolutely loved it. Sharon was amazing with my sister with special needs. Very understanding and patient. Sharon is so down to earth and not one bit pushy. Sharon was amazing from day one I got my bridesmaid dresses from her what I loved about her services is that she does her own alterations it was so handy. The dresses were stunning. Sharon is a true professional at what she does, my daughter got her wedding dress, bridesmaid dresses, flower girls dresses and a beautiful page boy outfit & shoes for her 5 month little boy, any request we had was no problem, also all alterations were done by Sharon, truly a ONE STOP SHOP for all your wedding needs, Sharon and Ann provide a very personal service. Thank you so much for your support and professionalism on the lead up to our wedding. I had the most wonnderful time calling into you trying on the dress. I have some fantastic memories. I love my dress and the bridesmaids dresses were a big hit. We have since had a baby boy named John. Sharon, Thank you for all your help with the dresses for our wedding. All went great on the day. Ask the Experts: What Type of Dress Should I Choose for a Destination Wedding? Ask the Experts: When Do I Need to Order My Wedding Dress? 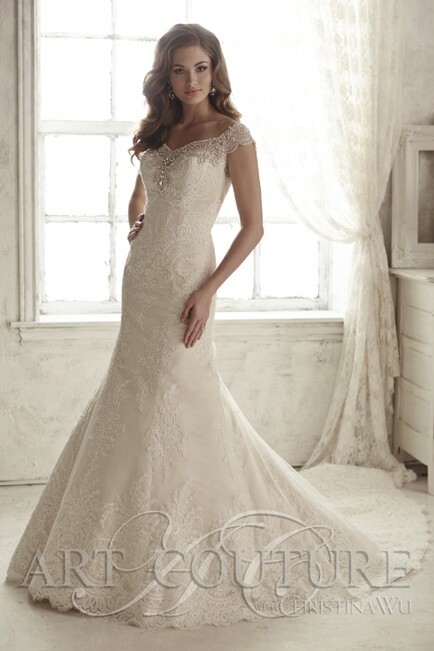 Ask the Experts: What Should I Bring to My Wedding Dress Appointments & Fittings? Ask the Experts: How Can I Get Rid of a Wedding Dress Stain? Ask the Experts: When Should I Start Shopping for My Wedding Dress? Ask the Experts: What are the Big Bridal Trends for 2018/2019?